Microsoft will be adding new capabilities to Dynamics 365 for Finance and Operations (D365FO) in several areas with its Fall 2018 release. 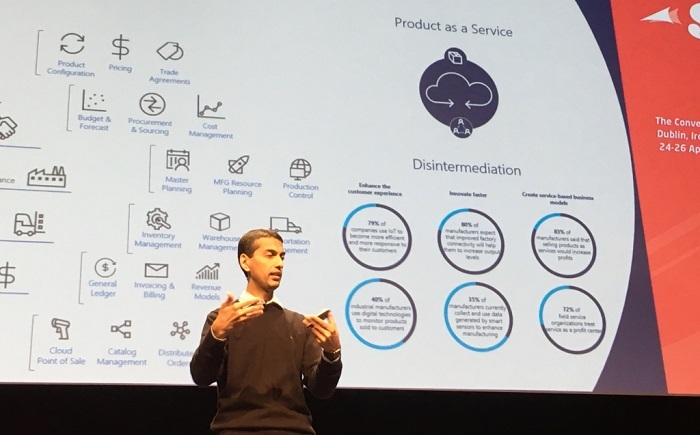 The new agreements were announced at Summit EMEA 2018 in Dublin by D365FO general manager Muhammad Alam. “It’s a really great time to be in Dynamics right now because of all the exciting developments that are going on within Microsoft and also within the market“, said Muhammad Alam, General Manager of Microsoft Dynamics 365. According to Aleksandar Totovic,the owner of Dynamics Blog, the main topic in the fall update will be Intelligence & Insights, Productivity & Usability and Adaptability trying to improve as more as possible performance, automation, support-ability and integration. Based on these new features available within the Microsoft Cloud, it looks like Microsoft is planning on supercharging Dynamics 365 to create an unmatched platform for digital transformation. The community is excited to see what the future will bring. Dynamics Resources Blog will be watching this trend and updating this topic with latest news. We would be happy to guide you and demonstrate how Microsoft Dynamics 365 gives you competitive advantage!